Hi everyone. 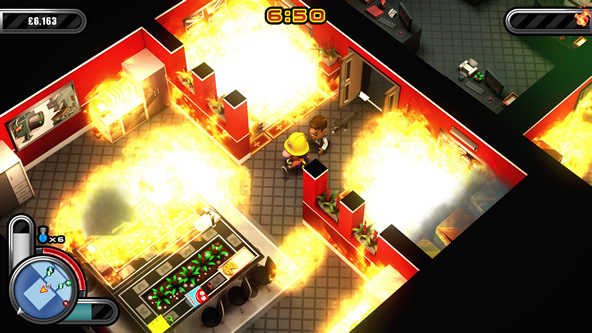 If you’ve been looking forward to the PC release of our firefighting action roguelike, Flame Over, I’m delighted to be able to tell you that it will be coming to Steam on the 28th May priced at $11.99. Not only that but anyone who pre-orders the game from when the pre-order period starts on the 14th May until the game’s release on the 28th will get a massive 40% discount. That results in a bargain price of $7.19. You can now find Blaze’s ghost on the level he died, allowing you to regain cash and powerups. A host of secrets, rare rooms & easter eggs, to ensure that no play through is the same. We’ve also reworked the wall of fire hazard, which will now set light to everything in its path and – mercifully – won’t instakill NPCs. 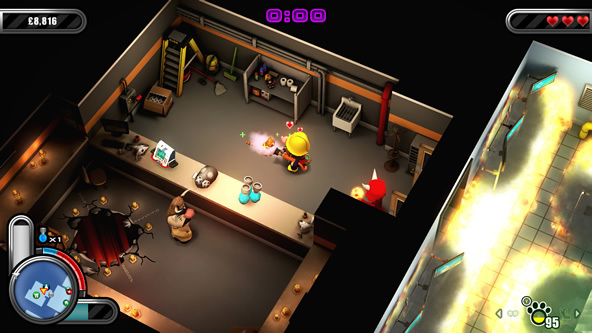 Flame Over is a fire fighting action game with randomly generated levels, blending Twin Stick Shooter and Roguelike design principles. 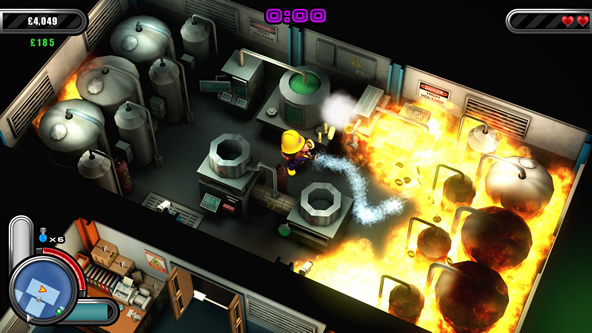 Flame Over features a dynamic fire system that burns and spreads according to the materials found in each randomly generated level. Watch fires spread according to the materials available, attacking your fire fighter and generating dangerous hazards across 4 game zones. Guide fire fighting hero, Blaze Carruthers, in a struggle against the clock and near-certain death! 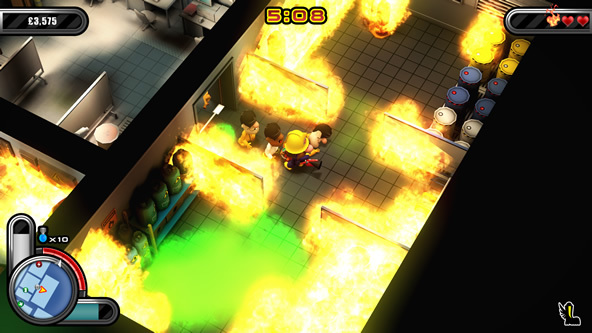 Fight through all 16 floors of the Infernal Industries building, combating ferocious fires in a red-hot adventure that changes every time! Rescue people and cats from a fiery end. Lead them to safety to earn extra time, health and persistent upgrades. Only Blaze Carruthers can save the day! Earn Upgrades, Buy Powerups, SURVIVE! Complete side missions to earn persistent upgrades that increase your odds. Use coins collected while you play to buy in-game powerups. Compete with other fire fighters worldwide across Score and Time Leaderboards.